Short Sale. SHORT SALE. Built in 2004, home has been pre-inspected to confirm its top condition. 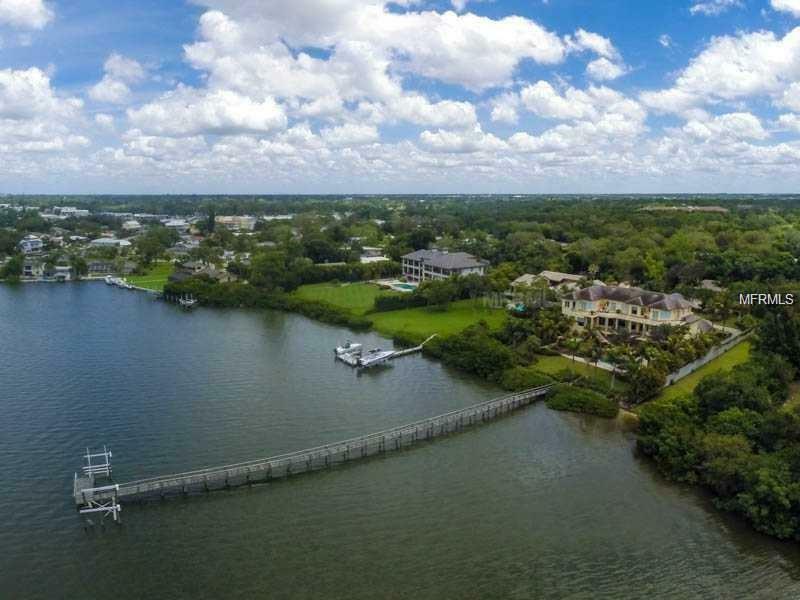 This private, gated, resort like Bayfront property, close to the City and very close to areas most beautiful beach on Siesta Key, offers everything for a family or a couple who frequently entertains. 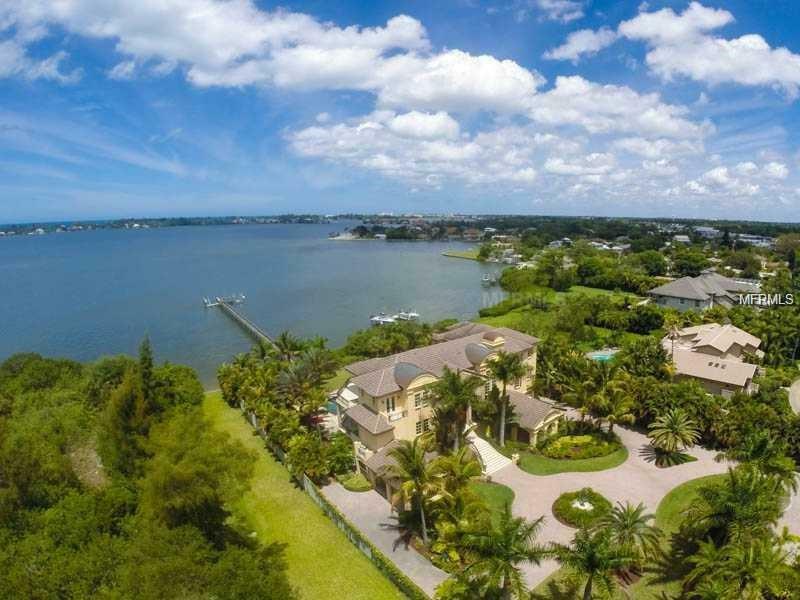 The home of 6,719 SF (9300) AC space and 7,500 SF of patios with spectacular daylight and dramatic sunset views is located on almost 1.5 acres with 162 ft. of direct Bayfront. A 275 ft. pier leads you to your boat dock with a 16,000 and 10,000 lb. boat lift for direct access to the Intracoastal. Custom pool with flagstone deck, 3 Jacuzzis, a water driven thunder slide & waterfall cave with a mini theater inside offer endless enjoyment. The residence boasts a large gourmet kitchen with travertine counter tops, custom wood cabinets, stainless appliances, multiple dishwashers, wet bar, wine cellar, elevator, 2 laundry centers as well as a full sports bar, professional gym & theater. The luxurious living and family room as well as the master suite on the second floor command sweeping views over the Bay. Two 2 car garages and a detached garage that can hold an additional 8 cars complete this one of a kind estate which the sellers are offering for immediate sale.Listing Price may not be sufficient to pay the total of all liens and costs of sale. 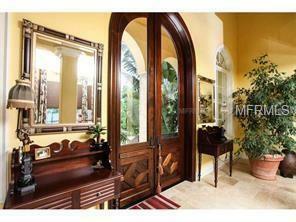 Sale of Property at full listing price may require approval of seller's lender(s). Such approval may be conditioned upon the gross commission being reduced.